TORONTO (September 4, 2018): Spaces, the Amsterdam-born creative workspace, opens its second Toronto location today at 99 Yorkville Avenue, being the first to bring co-working to the prestigious neighbourhood of Yorkville. 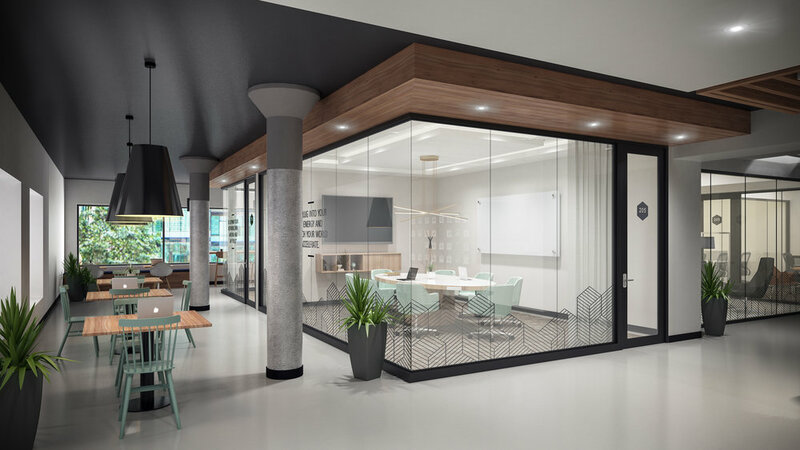 The inspiring and upscale workspace has a sophisticated European design, two exclusive patios, and over 17,000 square feet of collaborative workspace. The warm atmosphere is tailored to the needs of energetic entrepreneurs, start-ups and established companies, and provides a community for like-minded professionals to meet and connect, and share ideas. Spaces Yorkville is a creative working environment with a unique entrepreneurial spirit. Spaces Yorkville’s interior design inspires a fresh and modern spirit. Inside the dynamic second floor workspace at 99 Yorkville are co-working desks, fully-equipped meeting rooms, shared and private offices, and an exclusive business club. One of the two patios overlooks Yorkville Avenue and the communal square, while the other looks onto a quiet courtyard for those looking to unwind in a calmer setting. The first floor of the building is home to the new Sofia Restaurant and Bar, Charles Khabouth’s Italian restaurant, and next door is the red Christian Louboutin flagship store. The two exclusive rooftop patios are an ideal place to connect and share ideas. Spaces has 137 locations in 30 countries and 94 cities around the world. The new Yorkville location is the fourth in Canada, including other locations in Toronto (Queen West), Montreal (Mile End) and Vancouver (Gastown). The company will open three more locations in Toronto next year in North York, Liberty Village and Mirvish Village. Spaces Yorkville is hosting an opening launch event on Thursday, September 20, 2018. Media, forward thinkers, innovators and game changers are invited to join the launch party at 99 Yorkville Avenue, Suite 200, from 5PM – 9PM. RSVP here. Spaces offers an inspiring work environment for professionals and growing businesses. In addition to office space, there are memberships and meeting rooms to help you think, create and cooperate with like-minded people. Spaces’ goal is to offer inspirational surroundings with an entrepreneurial spirit where ideas are born, a company can evolve and valuable relationships are built. Spaces has locations in the United States, Europe, Canada, Latin America, Africa, Australia and Asia.